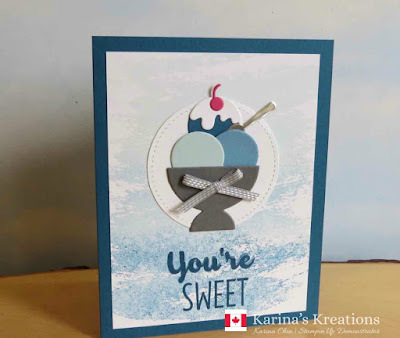 Karina's Kreations: Stampin'Up Cool Treats! 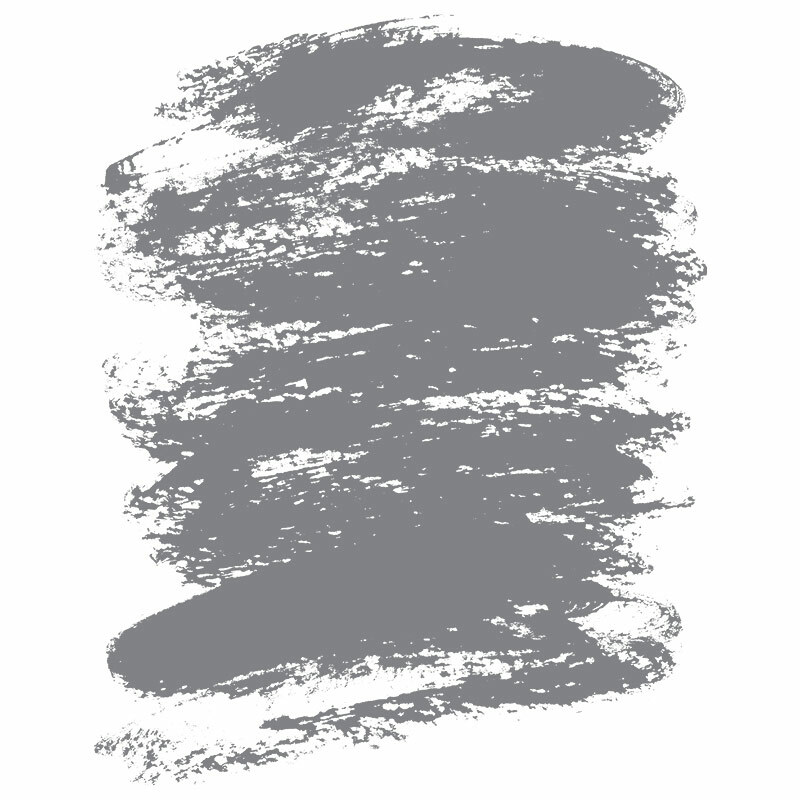 Do you have the watercolor wash stamp set #139538? I highly recommend it! That's how I created this fun background. I inked up the stamp with Soft Sky ink and lightly tapped Marina Mist ink on the centre of the stamp, then Dapper Denim ink on the top of the stamp using a Stampin' sponge. I love how it creates an ombre effect. I used the Cool Treats stamp set and Frozen Treats Framelits dies on the rest of the card. 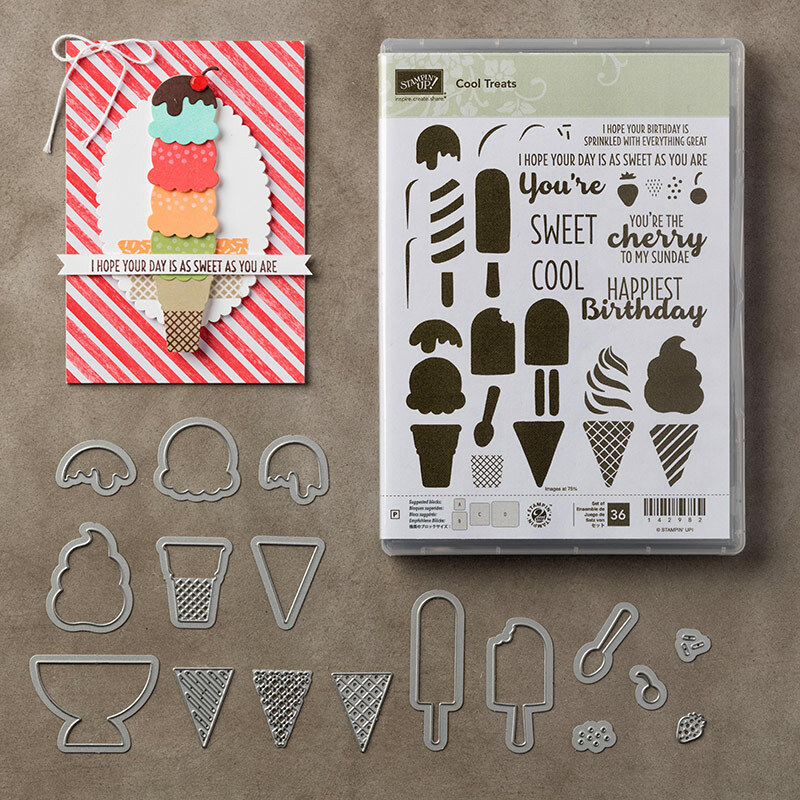 You can buy these as a bundle for $61.00 #145181 and then get the coordinating Tasty Treats designer series paper for FREE as a sale-a-bration item. Do you notice the cute spoon? It was cut from silver foil card stock. Thanks for looking at my blog.